Mt. 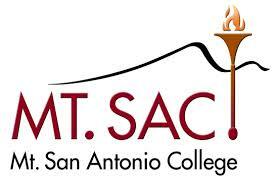 San Antonio College (MSAC) is a 2-year, public university in Walnut, CA, just outside of Los Angeles. MSAC offers their students over 240 degree and certificate programs that are known to consistently & successfully transfer to four-year institutions. Mt SAC veterans and military will be interested in their Veteran Success on Campus Program (VSOC). VSOC counselors provide resources to help veterans achieve their academic goals and find meaningful careers. They also make sure veterans’ health, educational, and benefit needs are met. For dependents there is the College Tuition Fee Waiver for Veteran Dependents which waives mandatory system-wide tuition and fees at any State of California Community College, California State University, or University of California campus. This waiver program applies to MSAC. If childcare is an issue, the CAMPIS grant provides FREE childcare tuition assistance from the Department of Education for low-income, Pell Grant recipients or Pell Grant eligible students. In 2010 Mt. SAC was selected by the California Community College Chancellor's Office as a pilot site for the Veterans Resource Center (VRC) project. The VRC project established an innovative, collaborative effort to ease the transition for our student veterans as they navigate our community college system. Today Mt. SAC continues to demonstrate both its motivation to meet the needs of Student Veterans and an ability to marshal resources to meet those needs through the VRC.